Learn how to apply search best practices to content for improved SEO and more qualified leads. 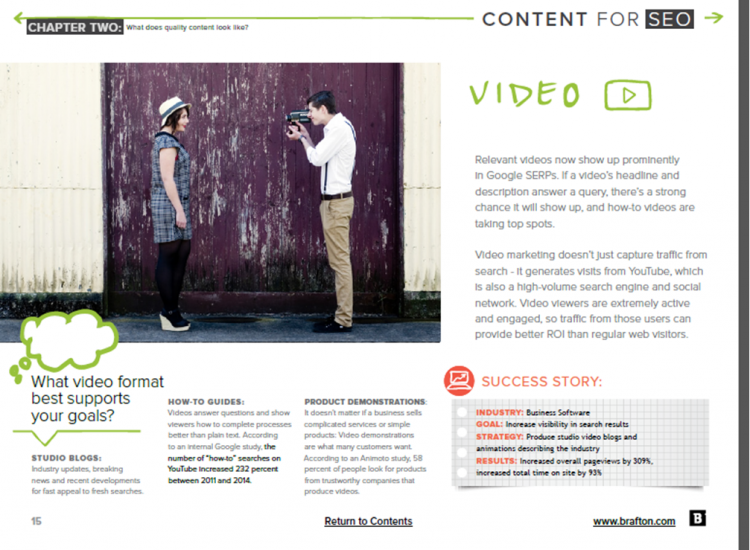 When it comes to effective tactics for driving SEO results – content is king. In our guide to Content for SEO, you’ll learn about the latest trends in search marketing – and how you can create content that will get your brand front and center. 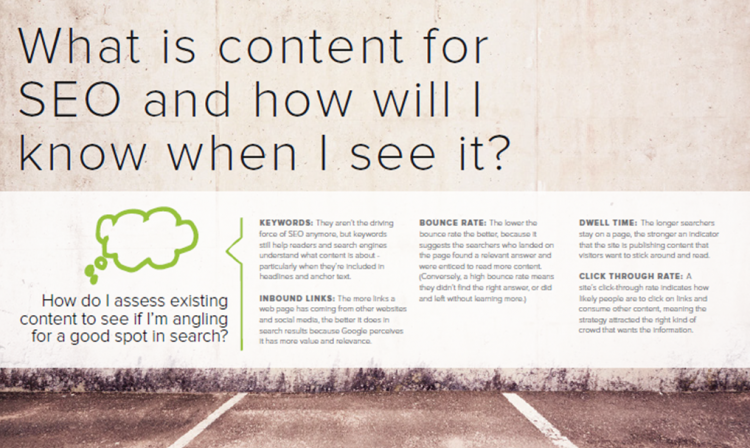 The Content for SEO eBook provides in-depth analysis of the search trends that drive results, as well as exclusive case studies from Brafton clients. 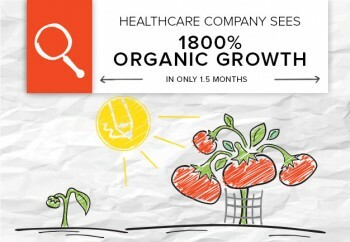 A content strategy helped one of our healthcare clients get more 1800 percent more organic web traffic (in just two months!) and build relationships with patients looking for care.